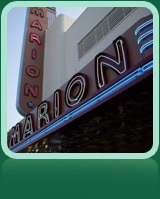 The Holiday Inn & Suites - Ocala Conference Center is located less than 3 miles from historic downtown Ocala, the county seat of Marion County. Click here for interactive directions to Ocala from the hotel powered by Google! With modern amenities and a distinctive charm, downtown Ocala is home to many unique shops, restaurants and attractions. Tour the historic district, browse through the many antiques shops, such as Hen's Nest Antique Mall; find a unique gift at one of several boutiques, such as Trina's Boutique. When it's time for a break, enjoy a great meal at a number of locally owned restaurants as well as familiar chain eateries like Bennigans or Carrabba's Italian Grill. Be sure to save time in your busy day to visit one of Ocala's many arts and cultural venues which provides a variety of programs for people of all ages. Enjoy a performance by the Marion Performing Ballet, discover a new talent at Improv at Brick City Center for the Arts or enjoy a collection of fine arts & special exhibits at the Appleton Museum of Art. Visit the official website of the Ocala Visitor's and Convention Bureau linked below for more information.